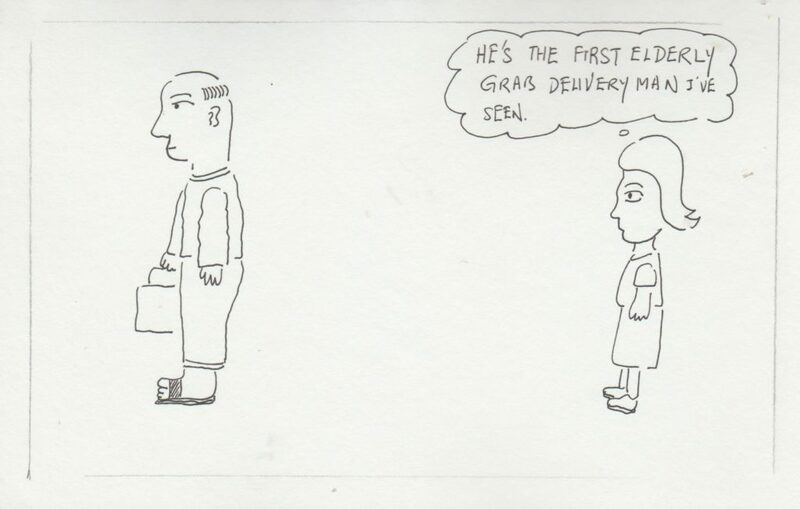 I feel a pang of sorrow for an older man who works as a Grab delivery person on a motorbike. I think he’s brave holding the job. He does whatever job he can and keeps his dignity. Hey man, thank you for your service.